In the ancient Tamil country, the Vaiyai was much more then a mighty river rushing towards the see. People knew the river intimately and lived their lives upon its banks. In these exquisite poems from the distant past (second to eighth century CE), we glimpse the ebb and flow of everyday life: the bathing, the water games, the lovers’ quarrels and the sacred rituals. Breathtaking in their descriptive power from the graceful in their celebration of sensuality, the Vaiyai poems from the Paripatal anthology delight our senses and give us insight into a world long past. In V.N. Muthukumar and Elizabeth Segran’s radiant new translation, the Vaiyai River comes alive to a new generation of readers. V.N Muthukumar and Elizabeth Rani Segran received their masters and doctorates in South and Southeast Asian Studies from the University of California, Berkeley. They each specialized in classical Tamil literature. This is their first collaboration. Muthukumar’s doctoral dissertation, Poetics of place in Early Tamil Literature’ borrows ideas from the disciplines of phenomenology and the anthropology of the senses, and examines the experiential dimensions of classical Tamil poetry. Elizabeth’s doctoral dissertation, Worlds of Desire: Gender and asexuality in classical Tamil Poetry, considers how gender is constructed in classical Tamil Poetry. She uses recent frameworks from the field of gender studies as a point of departure for her analysis. The Vaiyai River begins in the hills of western Tamil Nadu and flows though Maturai, erstwhile capital city of the Pantiyan kings. Today, the river dwindles to a trickle of water in the Ramanathapuram district, but in the poem from the distant past, the Vaiyai is described as a mighty river, rushing towards the sea. The Vaiyai was such a central force in the lives of the citizens of ancient Maturai that they world address the river by name, singing it songs of praise. In this volumes, we offer translations of songs written to the Vaiyai River. These songs are part of the Paripatal anthology, which belongs to the corpus of the classical Tamil literature. The corpus is known as cankam literature, named for the academies (or cankams) of poets believed to have composed thes poems. While there is some disagreement about when these poems were written, most scholars believe that the bulk of them were produced between the first and forth centuries CE with significant outliers on either side of this time frame. Today, approximately 2300 poems survive, constituting a wealth of primary source material on ancient Tamil Nadu. The Paripatal is one of the eight anthologies of poetry that from the classical Tamil cropus. It was first published in 1918 by the renowned Tamil scholar, U.V. Swaminatha Aiyar. Inhis research, the discovered that the Paripatal had originally been an anthology of seventy songs. However, from the manuscripts he collected, Aiyar could only retrieve twenty-two of these poems. Among them, six are on the god Tirumal, eight on the god Vel (also called Murukan) and eight on the Vaiyai River. In this edition, we have translated all eight Vaiyai poems edited by Aiyar. The eighth is unfortunately incomplete, having survived only in fragments. We have also translated a Vaiyai poems cited as an example in a medieval Tamil commentary; it is very similar that this poem belonged to the original Paripatal compilation. 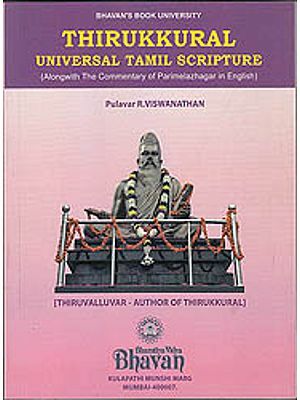 The Paripatal poems are unlike most other poems in classical Tamil. For one thing, they are much longer than the poems in the other anthologies. A typical poem in the Paripatal comprises about sixty lines and the longest runs to a hundred and forty, while poems belonging to the other anthologies are typically thirty lines long. The Paripatal is also one of the two anthologies in the cropus (Kalittorai being the other) that contain dialogue between protagonists. There is good reason to believe that this poetic device was used in the musical performance of the Paripatal, for it is the only text in the cankam cropus which was organized according to the melodic scale (called pan) to which the poems were sung and performed. Even a cursory reading reveals the performative nature of these poems. The poems themselves contain many references to music. For example, one Vaiyai poem describes the bank of the river in this way. Unfortunately, it is impossible for us to reconstruct the music of these poems today. However, we urge readers to imagine how these poems would have been received by their earliest audience. The Paripatal was presumably such an feat of musical virtuosity that one Vaiyai poem defines and describes it as inniyal man tercci icai Paripatal, ‘the song of graceful, sweet music’. Although they are highly stylized, the paripatal poems display remarkable diversity in scope and experession, Some of the earliest and first representations of the devotional genre (known as bhakti) are found in the poems on Tirumal, while the Vaiyai poems are an unbridled celebration of sensuality and love. The lovers’ quarrel is a theme common to all the Vaiyai poems. This is a well-know motif in cankam poetry and the Tamil literary tradition assigns a specific name to it. The quarrel usually occurs between husband and wife and, occasionally, between the husband and his mistress. The reason for the quarrel is always the man’s infidelity. In poems depicting utal, the woman accuses the man of neglecting her and tell him she is aware of his infidelity. Very often, the poems end with the wife indignantly asking her husband to go back to his lover. In the poems, one common situation involves a wife accusing her husband of bathing in a river with his mistress. With some minor variations, this theme occurs throughout cankam literature, and it is particularly interesting in the context of the Vaiyai poems. As a representative example of such poems, we offer an excerpt from a poem in the Akananuru (an anthology of love poems in the classical Tamil corpus). Here, a woman addresses her erring husband. Holding the white sugar cane as if it were a raft. the flowers on your ravishing chest withering. “You, of unblemished chastity, the mother of our son”. It is not becoming to moke my age. . . . . In poems such as this, the reader is forcefully drawn into the betrayed woman’s pain, which in turn reveals her erring husband’s ways. The speaker is almost invariably the heroine (or her the female companion) and the invisible hero exists only as the person addressed. Although the poems describe the hero’s behaviour, his impulses and actions are reduced to certain stock phrases such as ‘(you) frolicked in the waters with the woman you desired’. Note that these poems do not bestow any significance to the river, aside from marking it as site the husband’s infidelity. 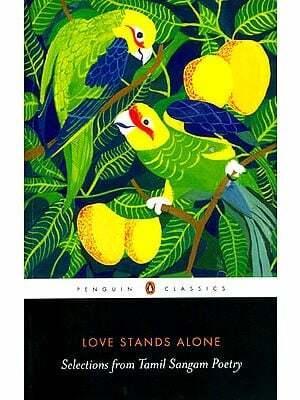 In short, the theme of the lovers’ quarrel in these poems centres on the betrayed heroine’s feeling. Everything else in the poem acts only to accentuate her emotions. In contrast, the Vaiyai poems are primarily and emphatically about the river. The river is not merely a stage for the husband’s infidelity; it is the setting for a wide range of events, specific sensory experiences and feelings. It is a place which is known in the most immediate manner, through the senses. In is a place which is known in the most immediate manner, through the senses. In turn, such bodily experience brings together memory, imagination and desire, turning the river into a place that possesses inherent emotionality and expressivity. The sensuousness of being in the river is expressed in various ways, imparting a rich and complex texture to the Vaiyai poems. In this poem, for example, the poet describes the colours carried by the river and the sounds that accompany its flow. with intricate blankets of flowers. As the waters spread, there is chaos everywhere, as if in response to the roaring waters of the river. Drums are sounded, presumably to warn people of the flood. The people talk of nothing else. But the chaos that the river induces is not confined to the physical sphere. The rushing waters are often used as a metaphor for the swelling desire in people’s hearts. One poem makes it more explicit and declares. by sweet music set to meter.